Robert Howard (1906-1936) originated such enduring heroic characters as Conan the Barbarian, Kull, and Solomon Kane, and published many of their adventures in the pages of Weird Tales. Howard's popularity during the magazine's heyday was great and continues today. His writing was by turns extraordinarily violent and sublimely beautiful. His prose was honest and forthright, yet he was capable of creating stunning, perfectly realized settings for his stories, and his poetry was among Weird Tales' loveliest. Howard killed himself at the age of 30 after learning of his mother's terminal illness. His suicide note, in its entirety, read, "All fled, all done, so lift me on the pyre; The feast is over, and the lamps expire." While yet in high school, young Robert began submitting short stories to the publications of the time. A chronological list of submissions in a letter to a friend, written circa 1929, indicated the first submission was "Bill Smalley and the Power of the Human Eye," rejected by both Western Story and Adventure in 1921. He finally made his first sale in 1924 when Weird Tales accepted "Spear and Fang," a short tale about Cro-Magnon and Neanderthal, for $18, payable on publication. Robert worked at a number of odd jobs after graduating from high school, for his writing brought in only meager income. He worked in a law office as a private secretary, packed a rod for a geologist, wrote up oil field news for various newspapers, as a public stenographer and finally in a drugstore. In the fall of 1926, discouraged with his lack of success at the writing game, he enrolled in a bookkeeping course at Howard Payne College in Brownwood. Before long, however, he was writing humorous pieces for the college newspaper, The Yellow Jacket, and once again submitting more stories to a number of potential markets, with some small success at the Weird Tales editorial offices. Among the list of rejected stories during this period, we may only conjecture what stories lay behind such titles as "The Valley of the Golden Web," "Sanctuary of the Sun," "The Crimson Line," "Vulture's Roost," "Windigo! Windigo!" and others; these manuscripts apparently no longer survive. Solomon Kane, the dour Puritan swordsman and redresser of wrongs, was the first of a number of continuing characters to see print (1928); the following year saw the advent of Kull, the Atlantean savage who eventually seized the throne of fabled Valusia in the Pre-Cataclysmic Age -i.e., before the sinking of Atlantis. Many of the Kull stories, however, failed to find a market until they were collected in book form in 1967. By 1930 Howard had become a regular in Weird Tales and had broken into Fight Stories with his humorous Sailor Steve Costigan yarns. Later in the year he began a series of historical adventure stories in Oriental Stories, a relatively short-lived companion title to Weird Tales. Conan's world and career will probably be familiar to the readers of SAVAGE SWORD; he progressed from adventurer, thief, pirate and mercenary to the throne of Aquilonia in the Hyborian Age, a mythical period some 12,000 years ago between the sinking of Atlantis and the dawn of recorded history. 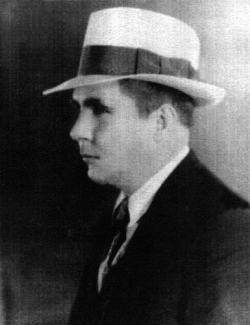 Howard was having an all-time high in sales by the beginning of 1936, with his work appearing regularly in Weird Tales and Action Stories, the Kirby O'Donnell and Francis X. Gordon (El Borak) adventure series appearing in Street & Smith's titles, and a new series of risqué tales under a pseudonym in Spicy Adventure Stories.